There is/was no village memorial in Ewloe but by combining the names on record cards for Ewloe at the County Record Office plus names from church and school memorials 16 soldiers are commemorated on this site. 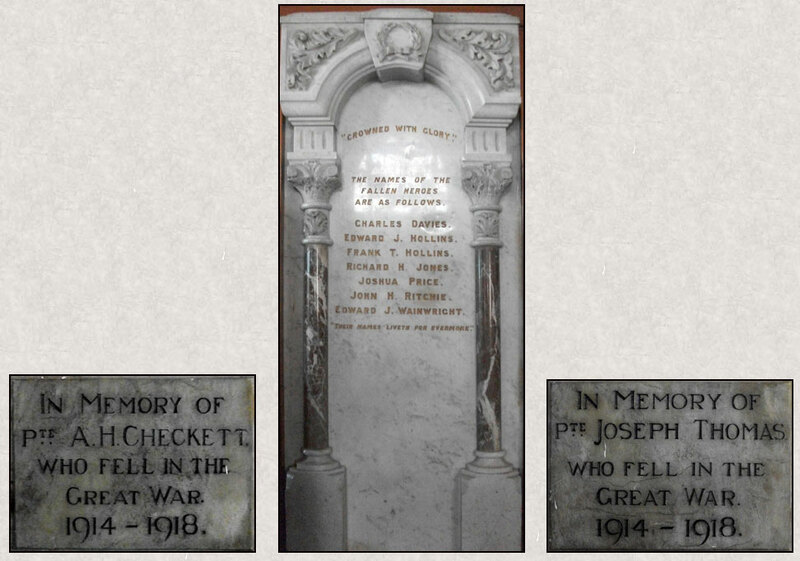 Most of these names appear on other memorials especially Hawarden or Buckley. A record of the origins of the Chapel Memorial was published in the FLINTSHIRE OBSERVER & NEWS 22nd May 1919 (Page 6 Col 4): HAWARDEN – Ewloe War Memorial – The marble work in connection with the tablets and new organ to be erected in the Ewloe P.M. Church, in memory of those associated with the church who have fallen in the war, is now being carried out by Messsrs. W. Manley & Son, Chester. 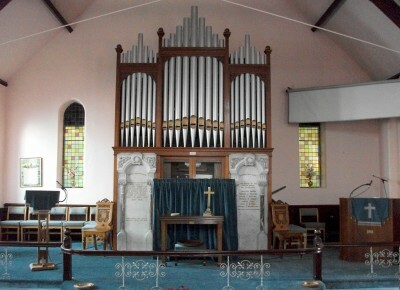 When the whole is completed, the tablets will form panels on either side of the organ. They are to be executed in Sicilian and range marble, consisting of moulded bases with columns & carved caps supporting an arch with laurel wreath carved on keystone. Another source of Ewloe names is a plaque in Room 4 of the main building at Ewloe C.P. 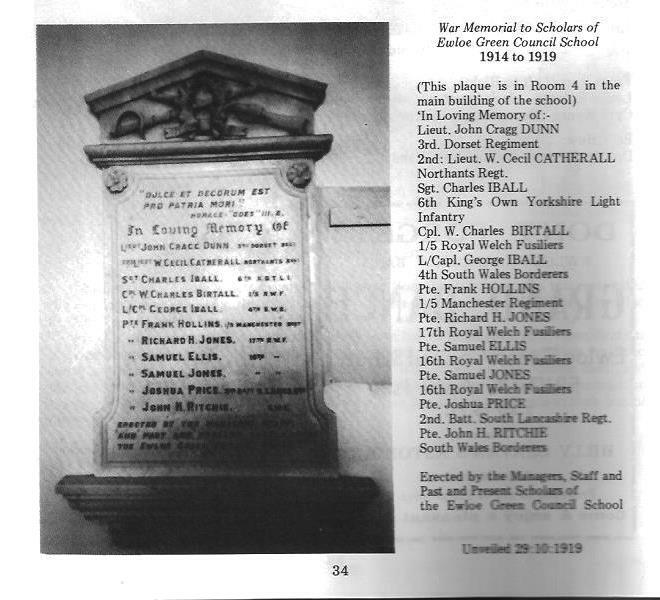 School to the memory of 11 scholars who died in the Great War. It was erected by the Managers, Staff and past and present scholars on 10 October 1919 (research by Matthew Lovelock). The plaque remembers John Cragg Dunn, W. Cecil Catherall, Charles Iball, Charles Birtall, George Iball, Frank Hollins, Richard H. Jones, Samuel Ellis, Samuel Jones, Joshua price and John Ritchie.